There are many options available to help assure that your roof, whether low-slope or steep-slope, reduces energy use and saves you money. In fact, many states are instituting building codes that require roof systems to be energy efficient. Reflectivity can help reduce the heating and cooling costs associated with commercial buildings or residences by reflecting the heat generated by the sun back into the environment. There are several ways to accomplish energy savings and still maintain the look and performance you have come to expect with asphaltic roofing. The “Whole Building Envelope” approach encourages the use of insulation to reduce heating and cooling costs. 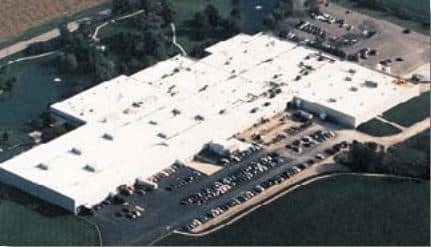 Most states with energy requirements for roofing allow an “insulation trade-off.” Adding additional insulation to a roofing system in Northern Climates is another effective way to save energy in addition to a highly reflective roof surface. Additionally, in these climates where heating days exceed the cooling days, the building owner may achieve a better energy efficiency and avoid a heating penalty. Many energy calculators are available and can tell you how much insulation you need to use if you like the look of a non-reflective roof covering. How Do Reflective Roofing Systems Work? A reflective roof system absorbs less of the sun’s energy by reflecting back into the environment the heat that could be absorbed by dark roofing. Roofs that don’t absorb heat lessen the load on AC units, helping equipment last longer and lowering energy bills. There are plenty of energy efficient reflective options with asphaltic roofing technology, the performance you can count on.